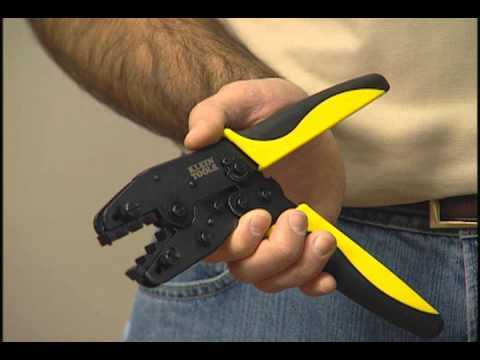 Klein Tools'professional CATV, Electrical, Home Theater, Satellite and Security System ratcheting crimper frame with optional dies is perfect for fast, reliable connector installations.Full-cycle ratchet action assures a complete, precise crimp every cycle.It has a preset tension for optimum performance. Use caution when tightening thumb-screws to prevent thread damage/stripping and hand-tighten only; do not over-tighten the thumb-screws. Over-tightening thumb-screws can damage the tool and/or die set.